Would you recommend us to your friends and family? and are you happy with the services? Click on the Friends and Family Test on the right hand side. Now you can book some appointments online! See the latest news section for more details. Now you can request your repeat prescriptions online! With your consent, we can text you (free) a confirmation of your appointment and a reminder message a day before. Thanks to all those who signed up to our Patient Group. We are currently running this year's major patient questionnaire and will share the results in mid-october. Please look out for further information in the "Latest News" section. We always welcome new members so please go to the Patient Group page if you would like to join. The Doctors and Staff at Rooley Lane Medical Centre in Bradford are proud to offer the highest standard of patient-centred healthcare.We run many clinics for the management of chronic diseases such as asthma and diabetes and offer a wide variety of other medical services including antenatal and postnatal care, minor surgery, childhood vaccinations and well-person check-ups. In addition to everything you need to know about the practice you will also find a wealth of health-related information in the menu on the right hand side. Please have a look around and do send us some feedback if you like. The Care Quality Commission (CQC) have rated us as "Good" overall and as "Good" in all of the individual categories from an inspection on the 18th March 2019. We would greatly appreciate it if you could complete the form and then send it back as the results reflect on us. The more people that complete the form the better feedback we can get on our quality of services. This will not only help us provide a better quality of care it will also improve other local NHS services in your area. When you ring to book an appointment, you might notice our reception team will ask you for a brief outline of how we can help you. This is because we have introduced something called Care Navigation. It means our receptionists has been trained to ensure they can help you to find the best service for your needs, so you can receive the right care more quickly. Anything you share with our team will be kept confidential. Our reception team will never offer clinical advice. Instead, this new way of working is about offering you a choice to see more appropriate professionals in our practice team or even somewhere else. If they can deal with the problem directly, it will often by quicker and means you may need to need to see a GP at all. We have created some quick user guides on how to book appointments, cancel appointments, and request medication using SystmOnline. The surgery will be closed for training on Wednesday 15th March from 12pm until 2:30pm. Surgeries will then resume as normal. If you need a Doctor in an emergency please ring 111. We take part in the National Diabetes Audit which is an important national project about diabetes care and treatment in the NHS. The project is called the National Diabetes Audit (NDA). To take part, your GP practice will share information about your diabetes care and treatment with the NDA. The type of information, and how it is shared, is controlled by law and enforced by strict rules of confidentiality and security. Taking part in the NDA shows that this GP practice is committed to improving care for people with diabetes. If you do not want your information to be used, please inform the receptionist, your GP or nurse. This will not affect your care. We have had several people asking us why we haven't extended the car park into the wasteland behind it. It is infact private land, and although it is extended on the end of our car park, ourselves and Bowling Hall aren’t allowed to do anything with it. We have also looked to see what gains we could make if the land was ours, and it would be very little infact due to the large number of existing car park spaces on the back row which would have to remove to provide any access to it. However, the car park and the issues it comes with are constantly on our minds and if something does arise in the future we will definitely look into it. 1) Sign up to SystmOnline in the surgery. This allows you to book and cancel prebooked systmonline appointments as well as request medications so you never have to phone us. This is the fastest and easiest method and we encourage everyone to sign up to this service within the practice. 2) Click on the cancel appointment button on the bottom of this page. You can also click here to take you straight to short form to fill out, of name, dob, appointment time. If you would like any more information regarding SystmOnline then please click here or ask at reception. We are now a training practice! We are pleased to announce that Rooley Lane Medical Centre has been accredited as a GP Training Practice. The GP Registrar will remain with us for a period usually between 6-12 months. You may therefore be offered an appointment with the GP Registrar. The first few weeks of the GP Registrars training will involve them ‘sitting in’ with other clinical members of the Practice team. If you have any questions or concerns about this or do not want the registrar to be present please inform the receptionist or clinician at the time. The GP registrars need to video record some of their consultations as part of their assessment and you may be asked if you are happy to take part in this if you have an appointment with the GP registrar. However please note that all videos are kept confidential and are destroyed when no longer required. Click here for the full information regarding our GP Registrars. We have now installed power assisted doors on the outside doors into the building and on the inner doors into the waiting area. This will provide better access to wheelchair patients and patients with prams. The surgery now has a new automated telephone system. Please be aware all calls are recorded for training and monitoring purposes only. The aim of the accessible information standard is to make sure that people who have a disability, impairment or sensory loss get information that they can access and understand, and any communication support that they need. If you have a information or communication need, please let reception know and we can quickly update your records to show this requirement. The Electronic Prescription Service allows your prescription to be sent electronically to a pharmacy of your choice. To sign up, you need to speak to your preferred pharmacy and complete a form to confirm that they can receive your prescription directly. Once you have signed up, your chosen pharmacy will receive your prescription electronically and you will not have to pick up your paper prescription from us. If you have already nominated a pharmacy, your prescription will be sent to them electronically unless you tell us otherwise. If you need to obtain a paper prescription for any reason, just let us know at the time of ordering. This service is optional and you can continue to collect paper prescriptions as you do now if you prefer. For more information, please speak to your pharmacist or a member of reception. You can now check online to see if your postcode is in our catchment area! The Rooley Lane Pharmacy is now operational within our surgery. The present Partners are shareholders within the pharmacy but the pharmacy business is a separate entity to the practice. Our patients are not obliged to use this pharmacy, it is the patients choice to which pharmacy they wish to use. NHS 111 is a new service that's being introduced to make it easier for you to access local NHS healthcare services. You can call 111 when you need medical help fast but it’s not a 999 emergency. NHS 111 is a fast and easy way to get the right help, whatever the time. Important: If you need a doctor in an emergency before 6.30 pm Mon-Fri please RING 01274 223118. If it is after 6.30pm Mon-Fri or anytime over the weekend please dial 111 – this is a free number. The practice policy is that after 3 appointments within a year you will be sent a letter. The practice will be actively sending out letters to patients who have missed 3 or more appointments in the last year informing them that carrying on in this manner will result in them being removed from the practice list. 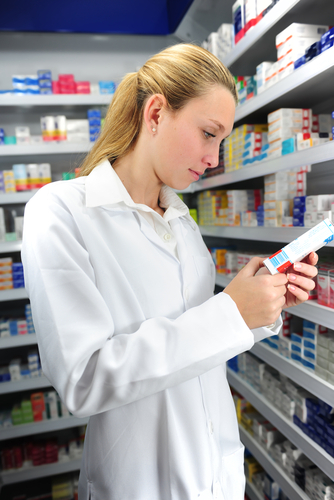 The prices of prescriptions are going up, click here to check the new prices! If you require a chaperone to be present in your appointment, please let the receptionist know at the time of booking the appointment. This will ensure the chaperone will be ready as soon as your appointment starts. The main doors, consulting rooms and treatment rooms are accessible by wheelchair. We have specially designed toilet facilities for wheelchair access. We also have a Hearing Loop for the hard of hearing, please enquire at the reception desk. We have a private interview room if you wish to speak to the receptionist in private and in confidence. Breast feeding your child is permitted within the surgery. If you would like a private room then this can be arranged. Please let a receptionist know at the desk. Guide dogs are permitted within the surgery. Over the last year we have had a Patient Participation Group running. The aim of the group (made up entirely of patients at this surgery) is to give your views of how certain aspects of the surgery should be run and to identify then try to implement priority issues. Please click on the Patient Group link on the right hand column for a report of how this has gone and what changes have been made as a direct result of patient input. If you would like to join then please click on the link and view the various sections which explain what to do.